Have you ever wondered what it takes to secure visas successfully? Since starting my blog in 2015, I have secured many visas myself. I have also helped many secure their visas. I have helped vacationers, backpackers, visitors, family members and the list goes on. Over time, I figured what works the best for securing visas successfully. No, it’s not luck. It’s not documentation, invitation or bank balance. What works best for visas is having a “strong foundation”. If you have a strong foundation, consulates would be happy to welcome you to their country as a tourist. After all, tourism is a lucrative industry. Why wouldn’t a country want more tourists? What is a strong foundation? Just like a foundation for a physical building, a strong foundation supports your travel dream. A strong foundation is a combination of your employment background, travel history, financial solvency and family and social ties. If you are strong in these areas, you will have guaranteed visa approvals. This book can help you build a strong foundation, secure visas successfully and travel the world like it’s nobody’s business. What will you get in this book? 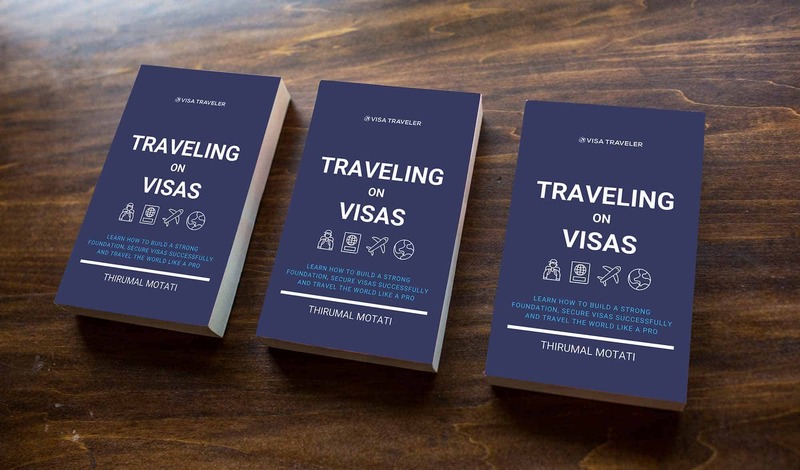 You will get over 80 pages of actionable advice on building a strong foundation, securing visas successfully and traveling the world like a pro. This book will teach you what it takes to secure visas successfully every time. This book is for those who dream of traveling the world. And, those who are willing to put in the efforts to fulfill their dream. This book is for those travelers committed to doing whatever it takes to build an excellent employment background, exceptional travel history, stable financial solvency and strong family and social ties. This book provides you with actionable advice, timelines to follow, action items to work on and plenty of templates to use. Use this book as a guide and follow up on the action items. You will be able to build a strong foundation and start securing visas successfully. How to purchase this book? This book is currently available as a digital download in PDF format only. You can download this book as soon as you buy. If you misplace this book later, you can always download it again for FREE. You will also get FREE lifetime access to all future updates for this book. Click on BUY NOW button to get your copy. Yes. I offer a 7-day refund policy. You must request a refund within 7 days of purchase.